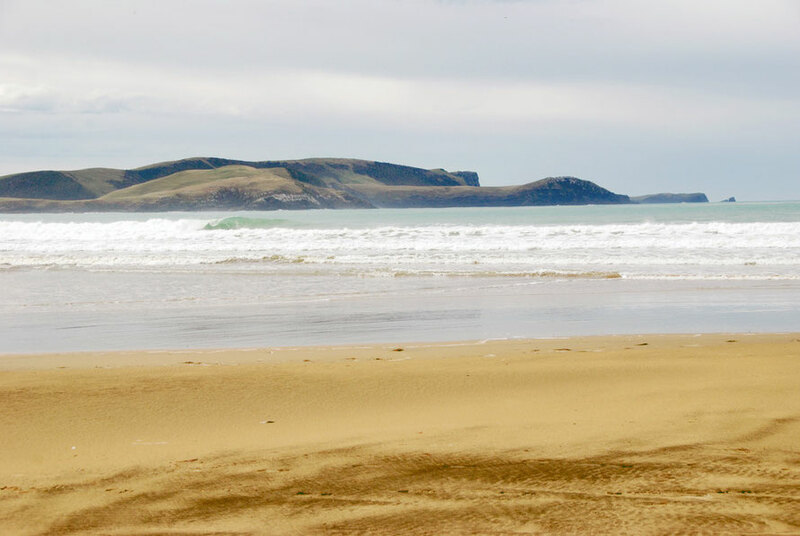 We only stayed on the Otago Peninsula for three days but in that time we managed to see a lot. It was fantastic to be on the edge of Papanui Inlet in a water-side bach, the crazy vertiginous path notwithstanding. We made a couple of forays into Dunedin. Once to get supplies and a hair-dryer and once to go to the excellent Otago Museum. The hillside double-storey suburbs above the main town looked interesting and spacious but we never got to them. There was a bit of a buzz going on around the university (est. 1869) campus and we passed the fantastic looking Otago Farmers Market alongside the railway tracks as we left the city. It would be interesting to return and spend more time in the town. I had hoped to get to the swanky new Settlers' Museum but time and energy ran out. 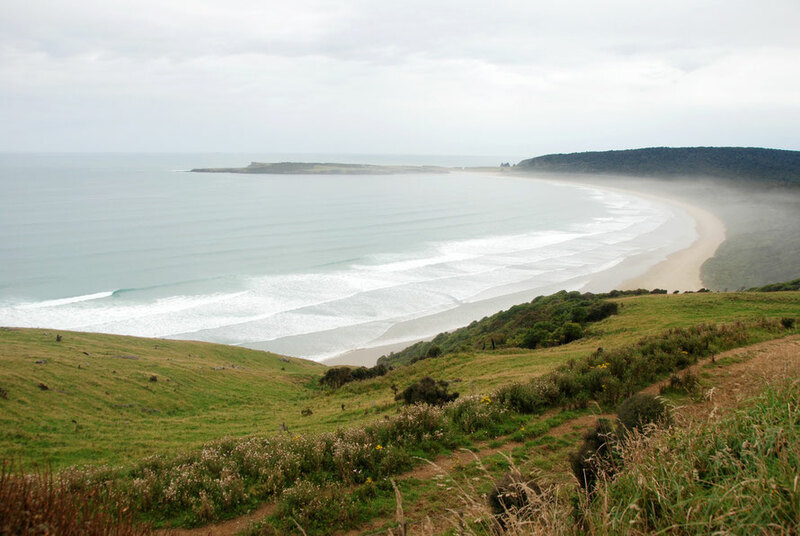 We left early one morning to head west for the Catlins and Stewart Island. Kyle had been round the day before to fix the cable-training mechanism onto the winch spool. It was eventually sorted with a length of steel reinforcing rod stuck into the ground. Under full load the winch cable ground and whined at the work in hand. I stood well back as the winch housing fell off. But all was well. Agonisingly slowly our collected luggage, food, books and whatnots rose steadily to the top of the incline saving me a real sweat in the close muggy Papanui Inlet air. 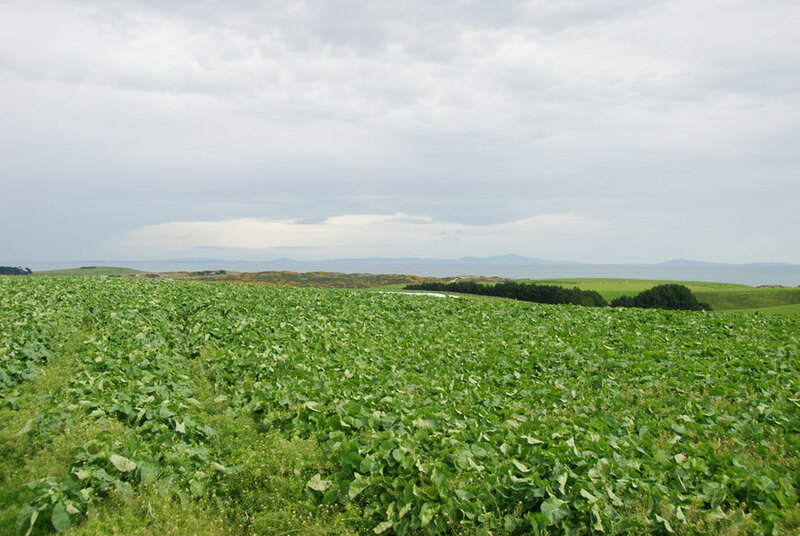 We drove back down the peninsula on the shore-hugging road and were soon on the by-pass that heads up and over the southern suburbs - with their quaint Edinburgh names of Costorphine and Calton Hill - towards the open, if dreary, country of the drained marshlands of the Taieri Plain. Of course, Otago is a region (pop. 213,000) much bigger than the peninsula and we were to swing back through parts of it on our way towards Milford and the west coast. 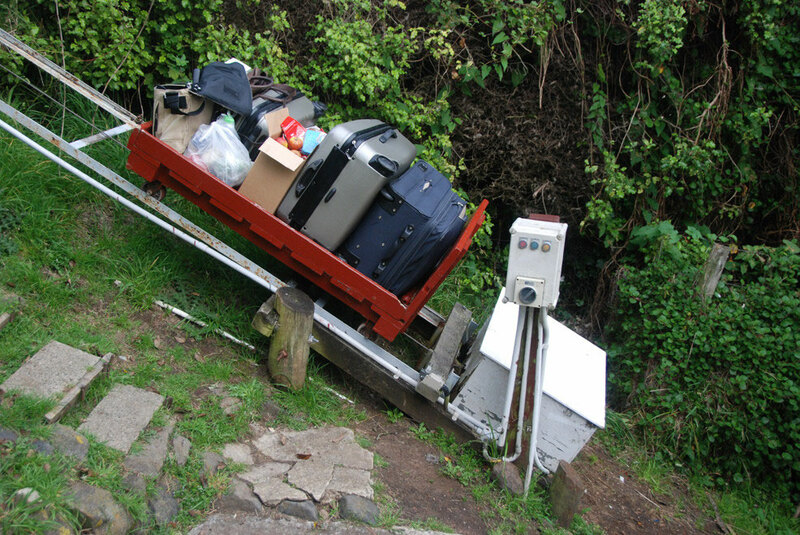 Our hosts were also leaving, or at least some of them. 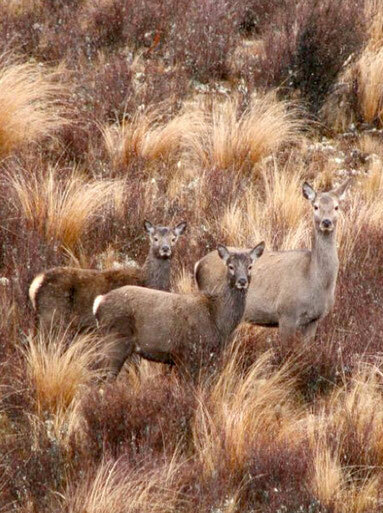 Dad was taking his kids with him on a hunting trip into the tussock-land behind Dunedin. He was excited because it was rutting time and as he said the only time you could 'roar up' the deer to you. He was a partner in an enterprise called Red Tussock Venison (see the stunning photos of the high country) and his hunters shot about 30 deer a fortnight to keep the company supplied with meat (media feature here). 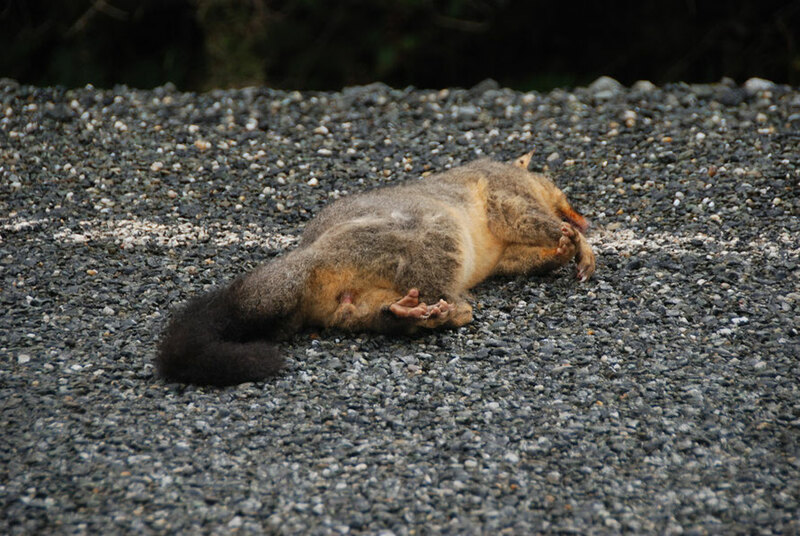 There was much concern in 2013 about the Department of Conservation's plans to airdrop 1080 poison (see the Facebook No to 1080 page) on 150,000 acres of the Fjordland National Park. Population densities in the Otago Region with Dunedin (mid-right) and Queenstown (top-left) in bright red. 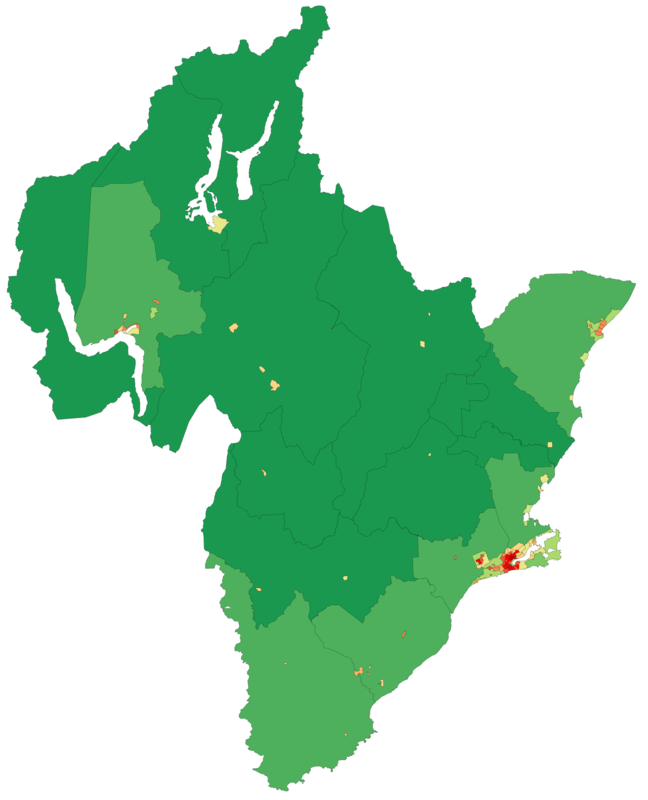 The dark green is less than 1 person per square km and lighter green is 1-5 people per square km (WikiCommons). 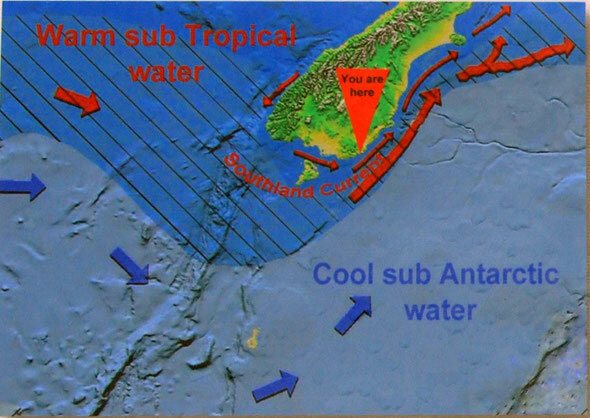 We were now making our way to Southland with a surface area bigger than Otago but only 95,000 people. If this seemed small, Westland, which stretches along most of the West Coast, tops out at only 32,700 people. 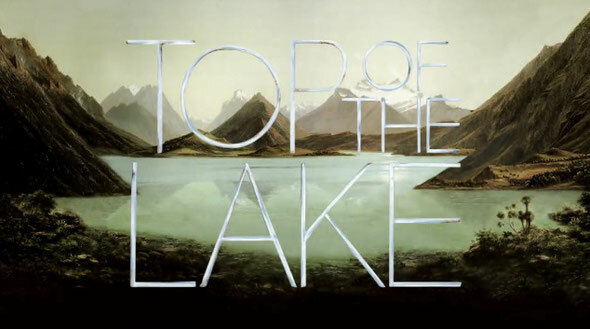 For a strange and dystopian view of north-west Otago see the BBC/NZ series for TV, Top of the Lake (available as a DVD) written and created by Jane Campion and Gerard Lee. The tourist board can’t be too happy, [as] Ms. Campion turns rural New Zealand into a steaming backwater that makes the American South of “Deliverance” look enlightened. Campion is from New Zealand but lives in Sydney but says she is almost a local having had a cottage for the last forty years in the high country up the road from Glenorchy, where the series is set. You wonder what kind of reception the 'locals' gave her ('I feel very privileged to have some strong connections to at least a couple of families in the area', she gushes) after she had portrayed the men without exception as irremediable sexist bullies, beasts and/or cowards. What could have been a really interesting exploration of the meeting between a backwoods/rural-idyll-turned-sour story and the drug-fuelled adrenaline hi-jinks of nearby Queenstown (NZ's summer and winter Ibiza) is hijacked by oh-so-worthy 'glum psychologising' (Hale above) on the eternal fate of women under patriarchy through the lens of a sub-Twin Peaks sense of dislocation and disconnectedness (which the plotting surely is). Leaving aside Top of the Lake and the real-life TottLe of the West Coast kidnapping of two tourist women (see this page) and back on the road we made our way through sparse country. We stopped for a coffee at Waihola on Margate Street. 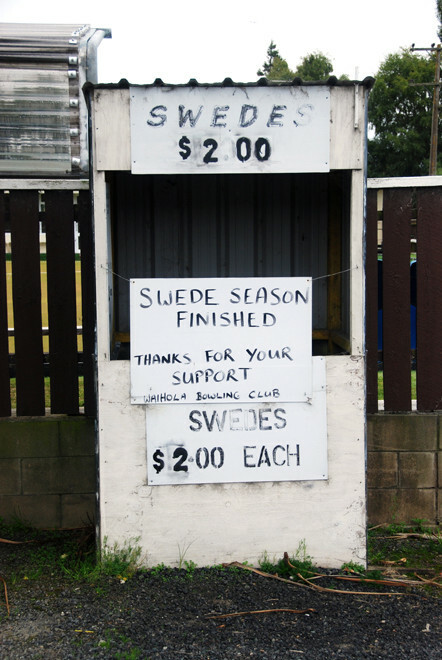 I took a picture of the Bowls Club's closed Swede Stall (the Swede season was finished), which caught my eye. 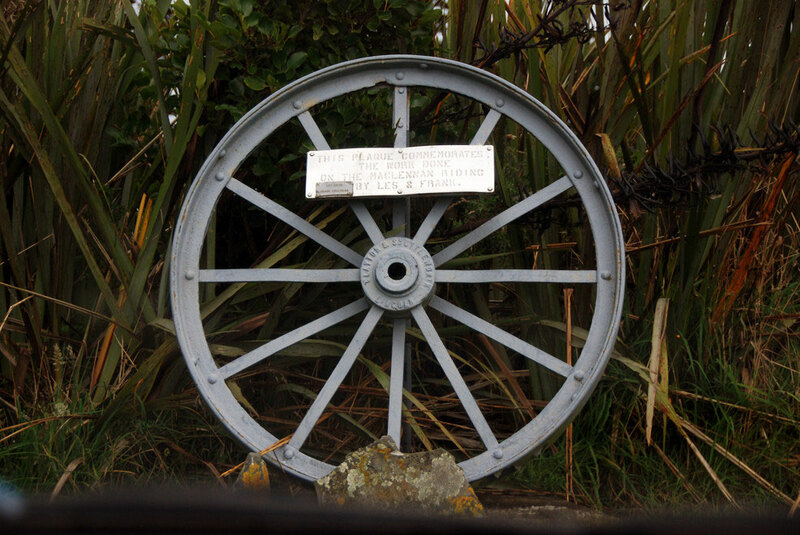 Between Clutha and Tautuka on a steel tractor wheel: 'This plaque commemorates the work done on the Maclennan Riding by Les and Frank: Les Dewe Frank Chalmers'. The only reference I could find on the internet to Les Dewe was to an article - not available - on 'Disastrous Bush Fires of 1935 Recalled' which might have linked him to 'Hogg's Mill, Kahuika, MacLennan'. And to Frank Chalmers there is a mention in a reference to an article 'Owaka Woman Looks Back on Early Catlins Days' by a Mrs Audrey Chalmers. Both were in the Clutha Leader Bush News. 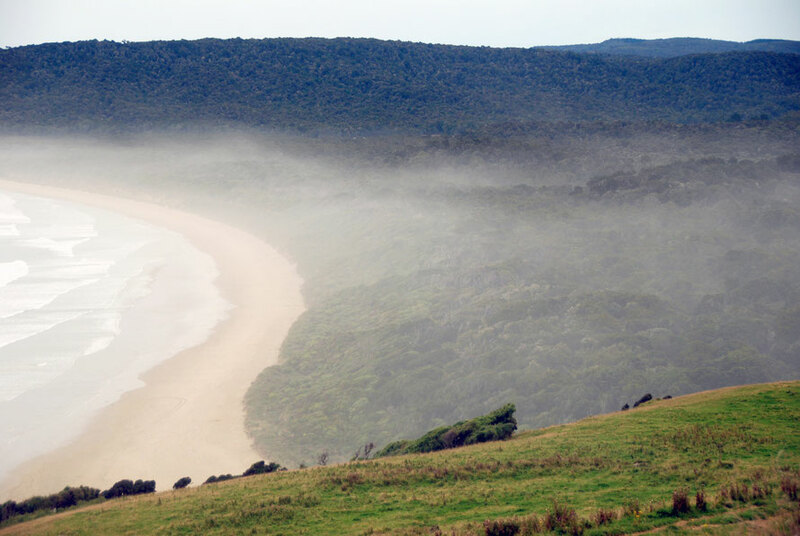 We later drove by Maclennan - a tiny village before going up a steep hill and getting a view of Tautuku Bay, with the mist rising off the surf and dispersing over thick lowland beech forest. A sign told us that we were 4500km from the South Pole but that the climate was anything but sub-Antarctic due to a warming ocean current of sub tropical water. 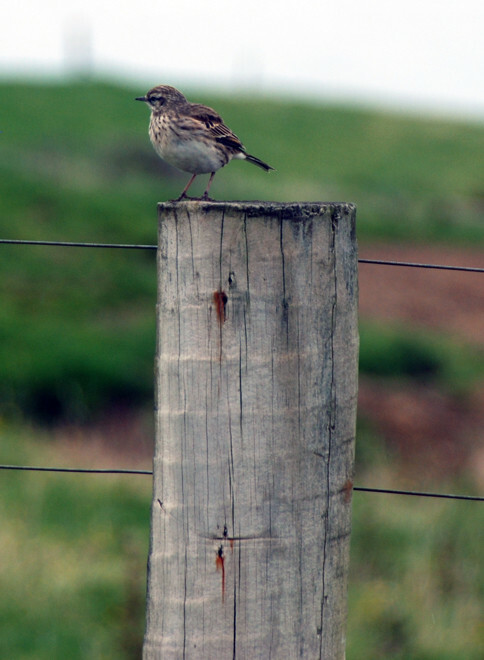 A bird sat on a fence post that looked remarkably like a British meadow pipit. It was probably the Australasian Pipit (Anthus novaeseelandiae). The Catlins area looked interesting with thick natural forest and very few people about. 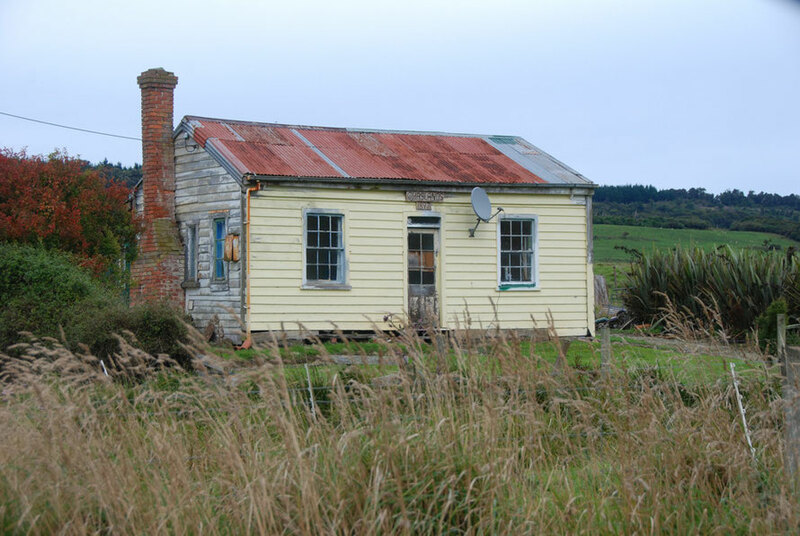 We pressed on to our booked accommodation at Curio Bay but by now we had begun to think that we should take advantage of the very still weather and get across the Foveaux Strait to Stewart Island and not get seasick. Which is what we did. Curio Bay looked alright - the main attraction was the diminutive Hector's Dolphin - but instead we pressed on along a long gravel road that eventually brought us out on the main Invercargill road. I stopped and The Principal made a number of calls. Yes, we could arrive a day early and no, there wouldn't be a problem getting an earlier passage on the ferry. A quick photo of the very distant Stewart Island was taken and we were off.